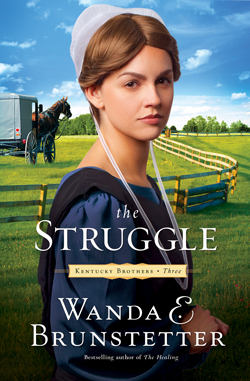 When Timothy Fisher, his wife Hannah, and their daughter Mindy leave Pennsylvania to begin a new life in Kentucky, Hannah finds it hard to adjust. Will Christian County ever feel like home? Nothing Timothy does seems to please Hannah. Has the move from Lancaster spelled the beginning of the end? When a horrible accident occurs, an inconsolable Hannah blames her husband. Timothy can barely rise beneath the weight of guilt, his wife’s hostility, and the stress of his job. What dramatic second chance will God provide to salve their grief and heal their breach?